Come learn all about Improv Quilting and use up some scraps. Introductory class on May 18th, 1-5pm. 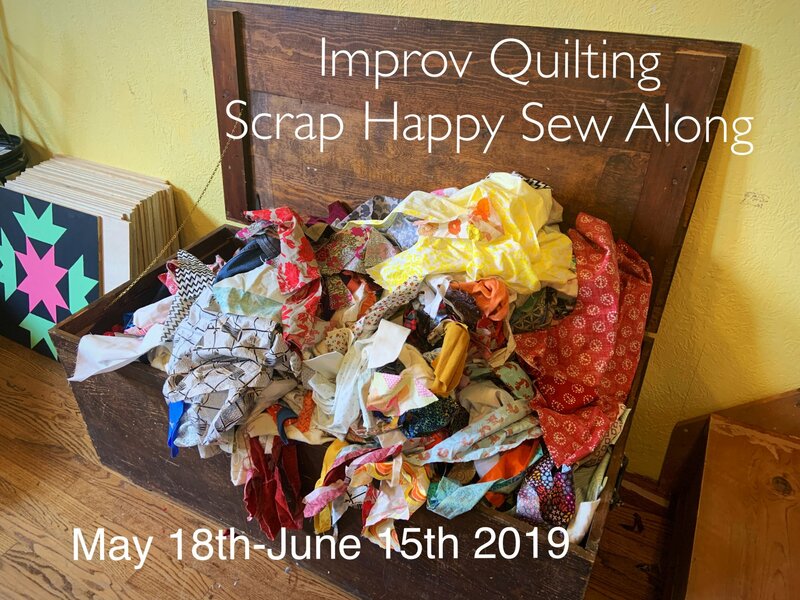 Sew Along will last from May 18-June 15th, 2019. Sew Alongside are a great way to participate in a sewing class without having to leave the comfort of your own home. Get lots of inspiration, tutorials and help from us and other participants on social media and share your experiences as well. We will be using the #tadaimprov2019 as our hashtag to let others know what you are creating. Cost of the introductory class is $40 and includes all supplies for the day as well as a handout of tips and tricks. Sign up today.